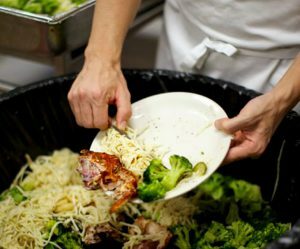 In fact, if food waste were a country, it would be the world’s third-largest emitter of greenhouse gases, behind China and the United States. Few people realize when they shove some grapes into the bottom drawer of their refrigerator and forget about them, they are contributing to climate change. Tia Nelson, managing director for climate at the Outrider Foundation, is former director of the Global Climate Change Initiative at The Nature Conservancy and former executive secretary to the Wisconsin Board of Commissioners of Public Lands.